Now plastic products are everywhere, but as for the functional request of plastic parts now, people want the plastic products not only beautiful appearance, but also economical and practical. That is now the focus of attention gradually are on cost performance, thus the surface of the plastic products processing plays an important role in the marketing. So what’s plastic products surface treatment technology? In general, plastic coloring and surface texture to decorate can be finished in plastic molding. But however, in order to increase the service life and improve its aesthetics, secondary processing on the surface and adornment processing is necessary. This is currently most common plastic parts manufacturing process. Almost all of company forbid painting on parts, so they have published to make parts with injection process but no painting, This is easy process for our production and cost reduction, You only need to add related pigment to parts, The effect is to make the surface smooth, bright and beautiful; frosted and polishing are used very often here. Also, this process we can make whole product better quality control. This process we need to do when we have only a few pieces or customers request special aesthetic but we can’t use directly injection parts, we will do it, since this process will add more cost. The effect is to decorate beautification and corrosion resistance; the methods used are painting, silk screen, film, hot stamping, etc. Plastic printing is a process that prints the required pattern on the surface of plastic parts. It can be divided into screen printing, surface printing transfer, Osmotic printing and etch printing, Now, most of company is using automotive process to make this to reduce labor cost and make product unify. IMD include IML、IMF、IMR. This method is mainly used in mobile phone and electrical panel display protection, car instrument dial, washing machine panel decoration, etc. Now it has set up a development to the decoration of large chassis, such as car shell decoration and so on. Compared with other manufacturing methods, IMD technology is not only beautiful, but also can stand a long service life and good dustproof and moisture-proof. Of course, there is still more finishing process for your plastic parts manufacturing, we will take 2nd blog to introduce these knowledge to you for sharing. Above are some methods we often used in the plastic surface treatment technology, and conform to meet the European and US standard for our global customers. Obviously, it obtained a very good effect from market. If you have any request on it, pls feel free to contact us. 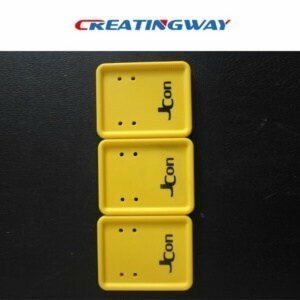 Creatingway not only serve the plastic parts but also CNC machining parts, sheet metal fabrication parts for you.